I thought I’d provide an update on Data Driven Design and Construction to be published by John Wiley & Sons and hope this answers your Frequently Asked Questions (FAQ). When will the book finally be published? For the publication of Data Driven Design and Construction: 25 Strategies for Capturing, Analyzing and Applying Building Data, we’re looking at Fall 2015. The number of data driven strategies that appear in the book? As suggested by the subtitle, the book contains 25 Strategies for Capturing, Analyzing and Applying Building Data. Who wrote the book’s Foreword? James Timberlake FAIA, Partner at KieranTimberlake wrote a truly remarkable, inspiring Foreword for the book. We couldn’t be happier with it. Tell me the gist of the book in a sentence? How many trees will die? None if you read it in iBooks or on your Kindle. The book manuscript is 798 pages long. How many total pages the actual book will contain is up to Wiley – and what both the aided and unaided eye can see in the way of readable font size. You’re kidding me. 798 pages? The book is written in three parts. PART I: Why Data, Why Now? And nine chapters plus an epilogue, so 10. How many pieces of software are mentioned in the book? The book strives to be vendor agnostic. That said, 69 separate software and apps are discussed. How about Grasshopper plugins Ladybug and Honeybee? You’ll just have to wait to find out. Will I know any of the people or firms mentioned in the book? David Fano, Partner and Managing Director, CASE Inc.
Tyler Goss, Director of Construction Solutions, CASE Inc.
That’s a cool book cover. Thanks Marc. Now you will be able to save your voice for other things worth screaming about. Hi Andrew. For the record, you have never claimed credit for the image. NBBJ is credited for the image. Nathan Miller created the image, but you found it and had the good sense to send it to me! That has to be acknowledged! Randy, the wait from book announcement to book release is interminable! I don’t suppose that the book exists in any downloadable format in the interim (i.e. O’Reilly Safari rough-cuts, etc) ? Thanks Matt for the interest and query. The publisher assures me that the book will come out in various ebook and ibook formats including a Kindle edition – but, alas, not until the hardbound book is published, which has now been moved up to Oct 12. I probably did a disservice in announcing the book so far in advance. My apology! 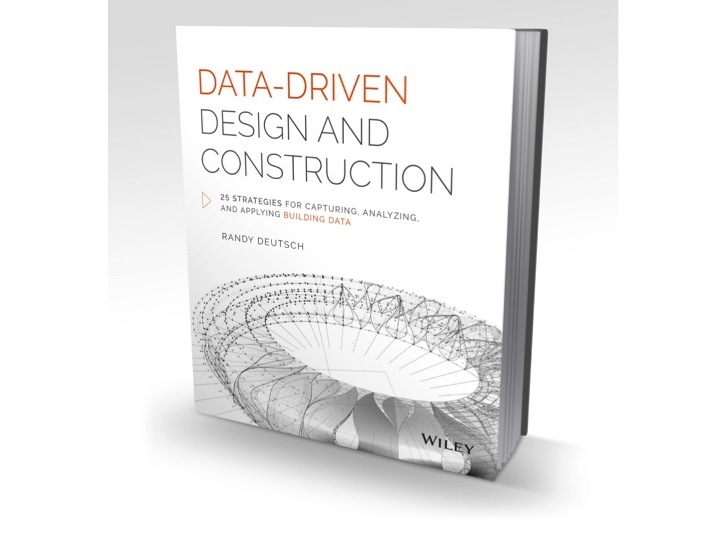 Randy, Congrats on your new book: “Data-Driven Design and Construction: 25 Strategies for Capturing, Analyzing and Applying Building Data.” I can’t wait to read it!